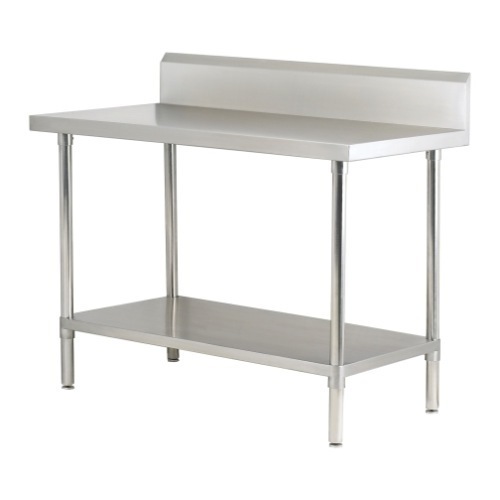 Commercial Working Table manufactured by us is at par with the international quality standards. These are manufactured using grades of stainless steel and are designed in accordance with the specifications and requirements of the clients. Available in variety of models and sizes, our range is highly acknowledged for quality, durability and easy maintenance. We offer our range at industry leading price to our clients. Established in the year 1996, Chawla Enterprises, New Delhi is a sterling organization and is know for manufacturing and exporting a high quality range of storage systems. Our range includes Modular Kitchen Accessories, Wardrobe Accessories, Bathroom Accessories and Commercial Kitchen Accessories. We offer these products under the brand name of "Apex" and cater to the needs of kitchens, airports, shopping malls, and other industries. These are primarily used for storing various kitchen articles and apparels. With years of experience, we are able to provide an innovative range of products that have a multiple utility. We use latest technology in designing these products keeping in mind their utility and storage capacity. Manufactured using fine quality stainless steel, these storage systems are innovatively designed and possess an everlasting durability. Further, we offer customization to meet the diverse requirements of our clients.